CoinVisitor was probably the best working “paid-per-view” site out there, with a great community. It was the perfect starting point for many who got involved with bitcoins. We featured the site both on our free bitcoin list and more extensively in our bitcoin beginners guide. Unfortunately we also had to witness and report the latest developments at CoinVisitor. The site started to have performance issues at several occasions and the payout mechanism got stuck eventually, leaving a lot of loyal users and the site’s operators frustrated when the site finally had to be shut down all together. In the past CoinVisitor tried to fix up a running system while on the road in an effort to keep their service running. As all fixes eventually failed they had to pull the plug in order to repair the site bottom up and working on fully rebuilding it. CoinVisitor will not be gone forever! They are working hard on getting their service back up and they want to make it right this time! 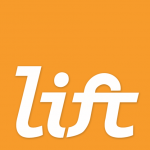 In the meantime they wish to spread some BTC to the community and have offered us sponsoring for the LIFT lottery’s prize pool! In result, YOU are getting to enjoy doubled prize payouts TWICE DAILY now! > GO GRAB SOME TICKETS! As of yesterday, the Coinvisitor sponsoring has been used up in prize-payments, the lottery is now back to being 100% funded by LIFT. Just a friendly plug, coinchat has a chat that is very similar to coinvisitor. It also tends to pay out more, and has all the features like different rooms, PMs, etc, as well as some gambling games! Coinchat does pay. We’ve paid out over 2.7 BTC. but not nearly as much, and the chat was pretty spam-laden and pointless. 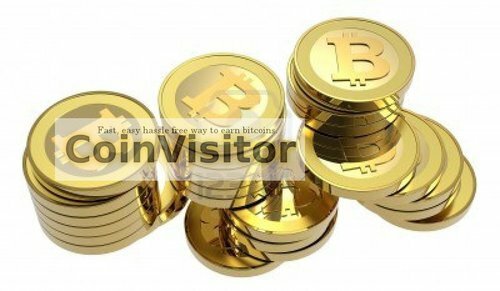 coinvisitor had the advantage of great mods and interesting users. we will second the statement ” the advantage of great mods and interesting users” at any time! I agree about coinchat not paying out.but then again. Ihd a pending balance with coinvistor an never got a payou.i love bitvistor they payout every few seconds for chating . there’s a chat on bitvisitor?! you need to show us the secret passage! https://easybitco.in/?ref=Aaronskandy best chat for bitcoins ever. Thankyou. Easybitcoin strive to emulate the type of community that kev and goddog created with the coinvisitor website. I for one can’t wait for coinvisitor to come back! I didn’t receive any payment from Coinvisitor , and I had 0.01 in that web I want my money!! You should email info@coinvisitor.com telling them your registered wallet address and ask them to process your payment manually! I bet you will get your pending balance paid swiftly. Also read here: https://bitcointalk.org/index.php?topic=242810.0. How do I cash out my balance on CoinVisitor chat? You should email info@coinvisitor.com telling them your registered wallet address and ask them to process your payment manually! They usually honor these requests quite swiftly. Let us know how it turned out! Like lift was saying, if you have a balance and know it and want to cash out then email us at info@coinvisitor.com. Alvaro was right, he did email us and I did the the message when he sent it, but somewhere in the mess of making the payments his got missed. I paid him a double payment for that mistake now and apologize. Every single request got paid but his did not and not sure exactly why. We are still working on development of things and it may take some time. Finding a good developer and prefer a local one now for accountability is proving pretty hard, we in like a development desert here in northern Wisconsin. Thanks for the support in the posts as well, miss having the site up more than you can know. Even though it is a breath of fresh air not having to do constant, non-stop damage control and try to fix issues. I can concentrate on a few other things now while we have our shut down. We will be back and even better – I will make sure of that. Anything else just message us and again thanks for the support and see you around bitcoin. Ok, I’ve been paid, really great. Thanks a lot for the payment, and there were no need to duplicate it. But thanks a lot. I expect coinvisitor will be up again. Still waiting for them to reply! read my paste, thankyou and god bless. Not sure where I need to reply and stuff but let me catch up on things. Have been very busy on a new project and still pursuing the old style coinvisitor as well. Concentrating on a local program right now that we can work all the bugs out and then bring global. I will look into this – and apologize for any delay or missed messages – I have several sites and groups with over 5000 members in them I am trying to manage as well and doing my best to keep up with things. The major question is are we going to have a reliable PPC and chat again? I would like my coins from coinvisitor.com will I ever see them??? have you tried emailing Kev (see above comments for email-addy)? He usually tries his best to honor the pending payments of the convisitor users. Looks like site is no longer paying out. You should have a big notice so people don’t keep wasting their time. No big notice needed We are still processing payments and the raffles will open again very soon. We had some issues with wanna-be-hacker attacks and keeping the lottery operational was a tough job in the past weeks. We are currently working on some fixes and tweaks and expect to be back in full operation soon!